Time 1h: This lesson follows on from the lesson on vascular tissues and explores the details of the way water travels through plants and how the plant is adapted to facilitate this transpiration stream. The movement of mineral ions and the role of mutualistic fungi a Experiments on Transpiration (new guide) Transpiration and Xerophytes (new guide) re also included. The role of water and vascular tissue in the support of plants includes the presence of thickened cellulose, cell turgor and lignified xylem. The role of phloem in translocation of sugars makes a good comparison activity. 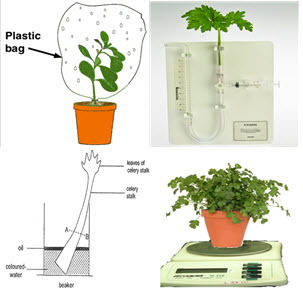 This lesson builds on the adaptations of the plant to enable transpiration. The abiotic factors which affect transpiration rates are introduced and students are asked to explain how each adaptation affects transpiration. Once this is understood students apply their understanding to adaptations of xerophytes in some IB style questions.Why is a good day for drying your washing a difficult day for plants? A short activity introducing phloem sieve tubes and translocation using a video and a worksheet followed by a data processing question including the identification of phloem in slides and the use of aphid stylets in translocation experiments. A short activity introducing phloem sieve tubes and translocation using a video and a worksheet followed by a worksheet outlining some experiments to measure translocation direction and rates and some data analysis questions. A quiz includes the identification of phloem in slides of stem and root tissues. 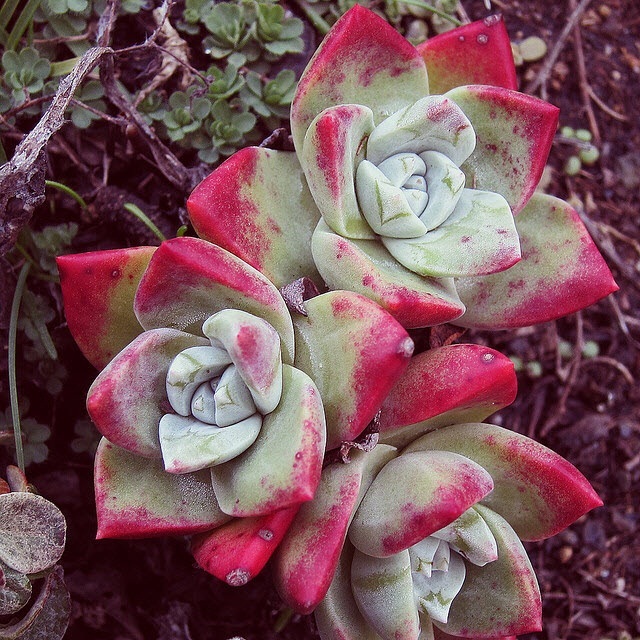 Time: 1h What is a meristem and how is it that a plant can keep growing for the whole of its life? Micropropagation using the plant meristems as a source of undifferentiated cells has become an important method of producing plants for agriculture and for conservation. This short lesson is in the style of a web-quest and uses a student worksheet to help students structure their notes. Time: 1h How do plants respond to light if they don't have eyes nor a brain? The mechanism is quite complex but it is a good illustration of the role of membrane proteins and the fluid nature of the plasma membrane. There are two activities in this lesson, the first is a set of slides with some questions and the second is a very short video clip followed by some more questions. There are model answers provided for both sets of questions. Time: 2h The structure of animal-pollinated flowers is very varied and lends itself to a nice 'dissection' in this experiment. Comparisons of different flowers help students to understand the functions of each part. The dissection of a seed complements this nicely especially if the seeds have been germinating for a couple of days first. Seeds are a crucial part of plant reproduction and there are many methods used by plants for seed dispersal. This activity covers both seed structure and dispersal. Flowering in any plants takes place at specific times of the year. The timing of flowering is controlled by phytochromes (Pr & Pfr) which enable plants to detect day length and control gene expression. A set of slides helps to explain this process. This is going to be a simple activity to plan an experiment. It's aim is to review of the planning skills needed for the individual investigation, the IA.